Now I know all of you that aren’t from Australia probably don’t get the title. The Castle is a top Australian movie, and one of those really quotable movies too. One of the most endearing moments is how every night the lead male compliments his wife on his cooking. And one of those meals is rissoles. 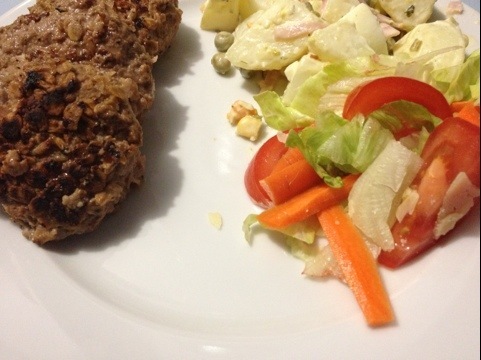 This is my mums rissole recipe – its a bit hit and miss but you get to squelch a whole heap of ingrediants up. 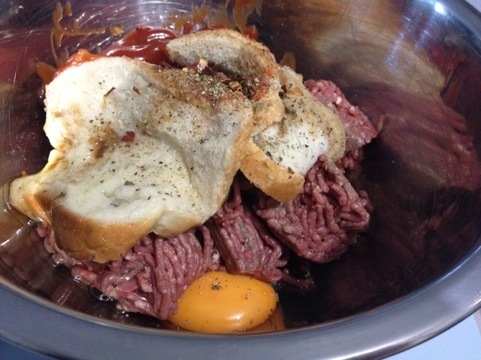 Into a bowl goes 500gm mince, 1 egg, 2 pieces soggy bread, a dash of worcestershire sauce, and some BBQ sauce. Quantities aren’t really important here. Also feel free to add stuff. I usually add chilli flakes, fresh herbs, salt, and pepper. To get soggy bread, soak the bread in water and squeeze it out. You’ll end up with a bowl full of squelchy potential. Now squelch it all together until it’s ready to roll into balls. 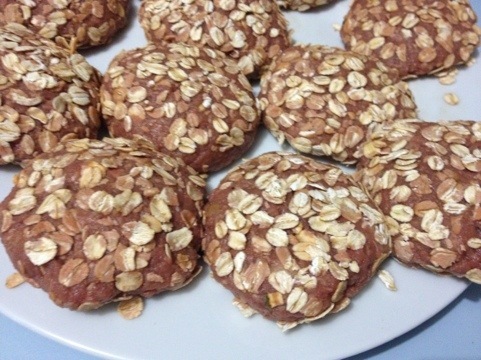 Then dip into bread crumbs or rolled oats, whichever you have in the cupboard. Then set them in the freezer. This is important. Otherwise they fall apart when you cook them. After about half an hour, they should be good to cook. You need a really greasy pan, and be ready to flip them. Serve with salad and a couple of episode of friends. Tomato sauce on top works a treat. ← I took her to see India! At the Oval!